UPDATED: Wed., Jan. 24, 2018, 9:15 p.m.
More than 6,000 electricity customers woke up Wednesday morning to no power as a winter storm blanketed much of the Inland Northwest. Anywhere from 2 to 6 inches of snow was reported in Ferry, Stevens, Pend Oreille and northern Spokane counties, according to the National Weather Service. Spokane and Coeur d’Alene were spared the shellacking, with precipitation mostly falling as rain. The low temperature only reached 34 degrees overnight in the Spokane region, said Andy Brown, weather service meteorologist. But Deer Park and Nine Mile Falls reported about 3 inches of snow, he said. The weather-related power outages mostly affected customers north of Spokane. Hit hardest were Avista Utilities customers near Gifford in Ferry and Stevens County along the Columbia River, where more than 2,000 were without power. 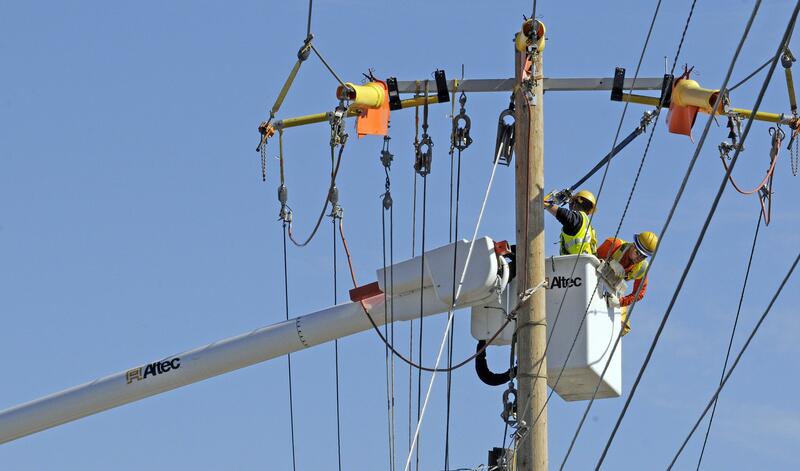 David Vowels, spokesman for Avista, said customers could expect to be without power for most of Wednesday, with the earliest restoration time to be Wednesday evening. Vowels said snow was a major factor when a tree came in contact with one of Avista’s transmission lines. It led to a failure at the Gifford substation, where crews were assessing the damage Wednesday morning. Altogether, about 3,300 Avista customers were still powerless as of 9 p.m. Wednesday evening. Estimated restoration times range from 10 p.m. Wednesday to noon Thursday. Other power companies reported hundreds of outages as well. Inland Power and Light Co. initially reported 776 customers without power in northern Spokane County and southern Stevens County, but by 9 p.m. had restored power to all customers. Northern Lights electric cooperative had about 550 without power in North Idaho near Sandpoint and Newport. Elsewhere in Idaho, Kootenai Electric Cooperative reported 111 customers without power by 6 a.m. Pend Oreille Public Utility District reported nine outages. Several school districts delayed the start of school by two hours, including Deer Park and Kettle Falls School District. Boundary County School District was closed. Temperatures in Spokane are expected to rise above 40 degrees, with rain to fall for most of the day. Published: Jan. 24, 2018, 6:29 a.m. Updated: Jan. 24, 2018, 9:15 p.m.